Quilting experts Laurie Baker and Georgia Gingrich invite quilters to think beyond the pattern in this special from WTVP-Public Media. 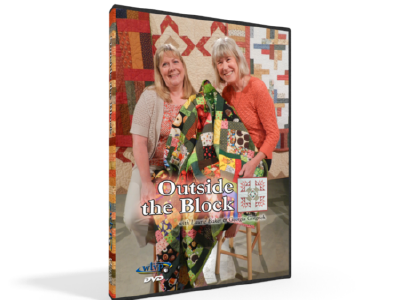 More than just a quilting how-to, Outside the Block offers both beginning and experienced quilters the reative tools they need to build a truly personalized masterpiece. From fabric basics to cutting to the actual sewing, Georgia and Laurie share their wealth of experience with practical advice and engaging humor.